Did you know that blue is the most popular "favourite" colour? According to Pantone, blue is associated with a clear blue sky and the cleansing waters of tranquil seas, in addition to being a symbolic message of dependability and loyalty. So it's no wonder we're collectively so fond of the hue. 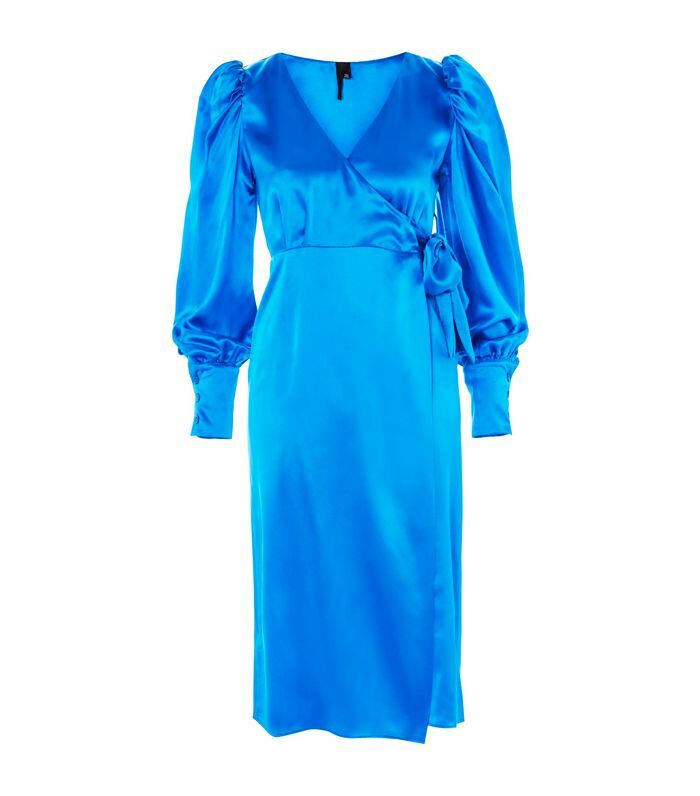 Now, you might think that this has no relevance to the world of style, but it turns out the fashion industry is having a real blue moment, especially when it comes to dresses. From high street to designer, brands are putting out options in a wide range of shades, which only means one thing: We need one now. Keep scrolling and you too can be serene throughout the rest of January. This is the sort of dress you can wear now over a pair of jeans and save for spring/summer 2018. This might still feel pretty "party dress," it will look just as great with a pair of sneakers. You'd never believe this is high street. A shift dress that's ideal for the office. For any weddings you've got coming up. Style as the model does—add a pair of Converse. Listen up, brides-to-be: This is from Whistles' new bridesmaid collection. This would look incredible with gold jewellery. You can always trust ASOS White to come up with sharp and interesting pieces. Behold your new brunching outfit.